At Nooni Care, we strive to make a parent’s hectic life a bit more manageable, with practical solutions to everyday parent problems. Our newly designed original Panda placemat bowl has been designed to assist in baby led weaning for little ones or toddlers. We strive to ensure that our products are of the highest quality, especially when it comes to food utensils. That is why we have gone the extra mile for this new product in ensuring that they are LFGB APPROVED, as well as the standard FDA approval, which guarantees the highest possible quality. The feeding bowls are completely BPA, BPS, PVC, lead and phthalate FREE. What’s more, they are completely microwave, dishwasher, freezer and oven safe. Providing cuteness and practicality – The adorable panda face design inside the bowl will encourage your little ones to finish their meals every time! 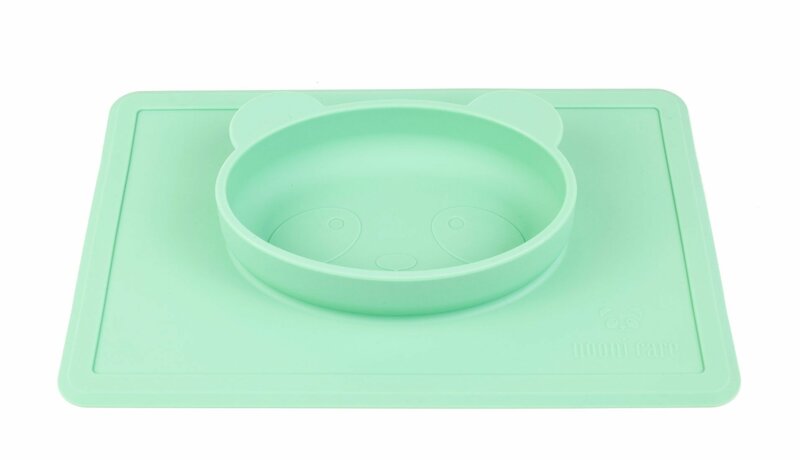 In addition, the shape and size of the bowl has been designed to accommodate a wide range of foods and even liquids with less mess, and the stick-out ears (SEE IMAGES ABOVE) have been designed to keep the kids entertained whilst their food is being prepared as well as during mealtime! Make mealtimes fun and manageable!